Hi, this is Madoka Yamada! I was born and raised in Okinawa. I am a cartoonist. I did not go to college because it's not a necessary qualification for my job. I am a writer who mainly does four-panel comics for a convenience store magazine. Together with my husband and two children I traveled Asia in 2018. I came back to Okinawa in order to support Denny Tamaki and to help Okinawa into a new era! 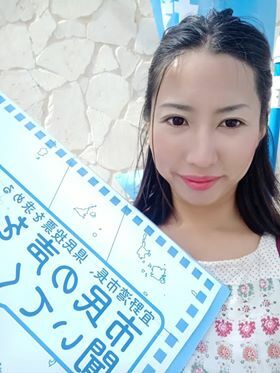 My mother goes to Henoko every week to demonstrate in front of the Camp Schwab gate. I do not want any more military bases in Okinawa. I think that the new base at Henoko is pointless. I want to protect the sea where the dugong lives. There are coral there that have been alive for 600 years! I want this beauty to be protected. Please tell everyone about the beautiful sea at Henoko.